I had never heard of Singer DaveBarnes talented singer-songwriter who is best known for Blake Shelton's cut of his song “God Gave Me You,” which earned him a Grammy and CMA nomination. Last year he released an album ‘Golden Days' that includes an amazing song, “Good,” which is a song of reflection & what really matters in life - family, friends, loved ones and perfect for the Mother's and Father's Day. With several other songwriting cuts as well as nine of his own albums under his belt, Barnes also has an amazing artist career spanning almost 15 years. After listening to Dave's CD I thought to myself yes it is considered a religious CD because he speaks of God in his lyrics and prayer but it is more about life and spirituality, acceptance and being kind and not giving up while trying to see the good in everything. The good in life! It is about loving with your whole heart even when the chances of it being reciprocated are slim or unsure. Twenty Three - Is the male version of Taylor's 22 about a band just living life as a band trying to make it and live their dreams. Like Taylor it is a catchy tune with a nice upbeat tempo and beat. Just another band on the run. Finding out in the meantime what it means. To be young and wild and free. Loving Los Angeles - is about a guy letting the love of his life leave and go to LA to live her dream. He is sad and lonely but is letting her find out of that is what she wants. That makes the hard times go away. But it isn't really doing me any good. And I hear you're loving Los Angeles. All She Wants - Is a song about a girl hanging on to the one she loves who I am assuming isn't sure he wants to be with her. I would love to know what everyone else thinks. This song actually made me tear up. So any thoughts would be appreciated. Little Civil War is a funky little tune featuring a female singer named Lucie Silvas a British Singer/Songwriter and it is about a couple who love each other and know that when they fight they are going to make up. And ooh, it's like fireworks, baby, when we get like this. Ooh, things that make us both crazy are the things that we'd miss. Ooh, there ain't nobody else I wanna fight with more. That's for sure in our little civil war. Something More is a fast tempo, fun song with an island vibe about being in love and expecting that your life will change but nothing is better than the person you love. You may get hurt, you may lose sleep but it you put the time in and love with your heart you will get those golden years! Heartbroken Down is a funky, song with a horn in the chorus about someone who dreams that the one they love has left them but they woke up and realize all is well. Living with my head hanging to the ground. There was no way back from the lost I'd found. Morning come waking up still in love, I've never been so happy. Baby, please, never leave, I'm incomplete without you. By Two is musically (I love acoustic guitars) and lyrically one of my favorites songs. The words are beautiful. They kind of words you would want to hear from a man you love. It is about someone in a relationship who loves with his whole heart and can't wait to see what the world has in store for his life as long as it is with the person he loves. They know by being with this person anything is possible as long as they have each other. Don't wanna fall asleep without you. I don't want a day without you close. Our hearts and hands will always be the closest of company. Best believe, I'll never let you go. Someday when it's all through, they'll bury me there by you. Gone and heaven bound, Lord, it's true. Cause I got to do, what I got to do, with you by two. Can't She Try has a pop beat and feel. It is about a girl who is looking for a chance to find the love of her life and she isn't afraid of getting hurt. Such deep words and feeling with this upbeat pop feel makes it less pathetic and heartbreaking. A slower tempo would have made this a tearful song with hopelessness but the upbeat keeps it positive and possible. I love it! She can do it! Yes she can! She could take another broken heart. She could take another long goodbye. She could fall in love or she could fall apart, that's fine. Sharon Sue is about a guy who knows his girl can get anyone but he also knows that he has everything she could possibly need and he isn't sharing! And all my love in the morning, love in the day. Love in the evening, what you want, just say. Anything you're needing is everything I'll do. Cause I ain't sharing you, Sharon Sue. Hotel Keys is a beautiful song about someone who is on the road a lot living in hotel after hotel and city after city and how they struggle with that life. I give the album as a whole a 4 out of 5. I like the diversity of the style from pop, to country, to funk and acoustic. Dave Barnes wasn't on my radar but is now. He writes from the heart and his honesty is refreshing and inspiring. Don't be turned off by the religious category because as a whole this CD isn't religious. Anyone who enjoys music will enjoy this CD. 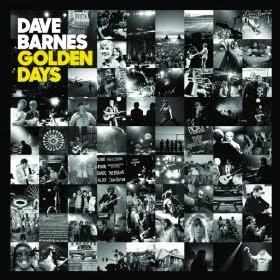 So roll the windows down and drive, lie in bed listening to the rain or get ready to clean but whatever you are doing, download some Dave Barnes and let him accompany you. Disclaimer: I received a complimentary CD for my honest opinion. No monetary compensation was offered or received. I'm most interested in hearing the song By Two. The words are beautiful in this song of love. I'd like to listen to all of them, but Good definitely is the first one that stands out to me. I'd like to hear All She Wants. By Two sounds like a great song! I think the lyrics are beautiful. I'd like to hear Something More. Thanks for this giveaway!